Unfortunately, people will lie to get what they want. When money is involved, those people don’t care about your loss; they just want what they think they can get. You must be 100% sure that the person’s claims are genuine, and DNA testing will prove any relation — or lack thereof — to your lost loved one. Any claims to the estate will be proven, and you can make the right decision. Test Smartly Labs can test the alleged relative’s DNA against your loved one’s DNA using samples from dental work, autopsies, or hospitalizations, or even a banked DNA sample if it is available. If none of these is an option, we can coordinate the exhumation of remains, collect bone extracts that survived cremation, or test living relatives. 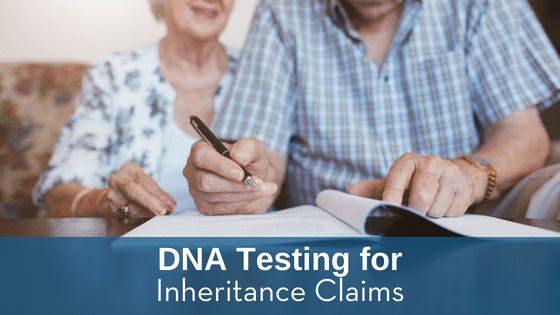 Because matters of inheritance can be sensitive when legal battles or other heated disputes come into play, Test Smartly Labs will schedule any DNA collection so that the disputing parties do not come in contact with each other.